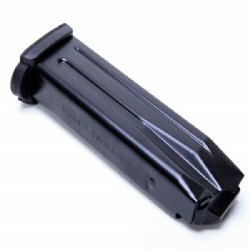 New in wrap German HK production 13rd .40 magazine for your VP40, P30 and P30L. Current production and new in wrap from HK Germany. Will also function in your USP-Compact, P2000, P2000SK or P30SK, however the mag will extend past the bottom of the grip.